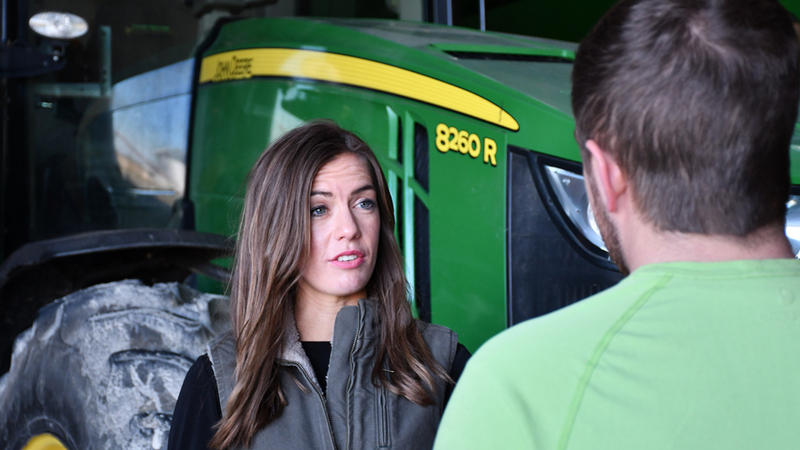 DARKE COUNTY — Conservative Republican Jena Powell announced February 12 her candidacy for state representative of Ohio’s 80th House District. Powell joins Miami County Commissioner Bud O’Brien (R-Troy), George H. Lovett (R-Tipp City) and J.D. Winteregg (R-Troy) as declared candidates running for the Republican nomination in the state’s May 8, 2018, primary. Current 80th District Representative Steve Huffman (R-Tipp City) is seeking election to the Ohio Senate. The 80th District includes all of Miami County and the southern portion of Darke County. The Arcanum native says she wants to increase opportunity for Ohioans and restore common sense to our government. Powell said she is running for state representative because government rules and regulations are strangling opportunity and eroding local control of our schools, our communities, and our country. Meanwhile, she said, establishment politicians in Columbus are more interested in protecting the status quo than listening to us. “As your next state representative, my commitment to you is this: On every vote, on every bill, on every issue, I will use a common-sense test: Does this protect your family, your freedom, and your finances?” said Powell. Powell grew up in southern Darke County bouncing around the back seat of her dad’s pickup truck with her six brothers and sisters. Her family has been farming in the area for generations. For Powell, Ohio’s 80th House District holds the memories of a childhood well spent, and the hopes of a promising future. After receiving a business marketing degree from Liberty University, Powell began working to build her own company. She co-owns and is vice president of sales and marketing at Huntington Outdoor Advertising, which works alongside local business owners and help them reach their companies’ goals through billboard advertising. Powell said when she was 18 years old, she made her first sales call right here in the district. Today, thanks in large part to the community, Powell negotiates and deals with some of the largest businesses – not only in our district – but in the entire Greater Dayton region and throughout Ohio. Powell believes too many people are leaving the area, and even the state, to pursue other opportunities. She says it’s time to bring American jobs back home by cutting regulations and reforming our tax code. She is opposed to Common Core and supports reducing testing in schools so students can spend more time learning. Powell is pro-life. She is a member of the National Rifle Association and is committed to defending Ohioans’ 2nd Amendment rights. Powell argues the establishment in Columbus isn’t listening to what we need; that our voices aren’t being heard. “That’s why I’m running. To represent the needs of Ohio’s House District 80, so that everyone in this district can go hard after their dreams and experience life to the fullest, right here at home,” she said. Powell’s campaign website is JenaPowell.com. She is holding her campaign kickoff party at WACO Airfield in Troy, Ohio, February 23, 7 to 9 p.m. RSVP to info@jenapowell.com to reserve your free tickets.